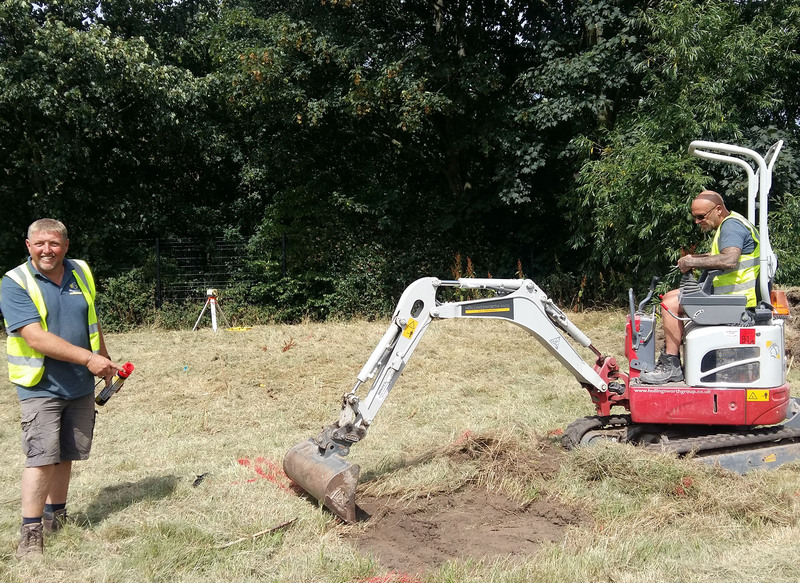 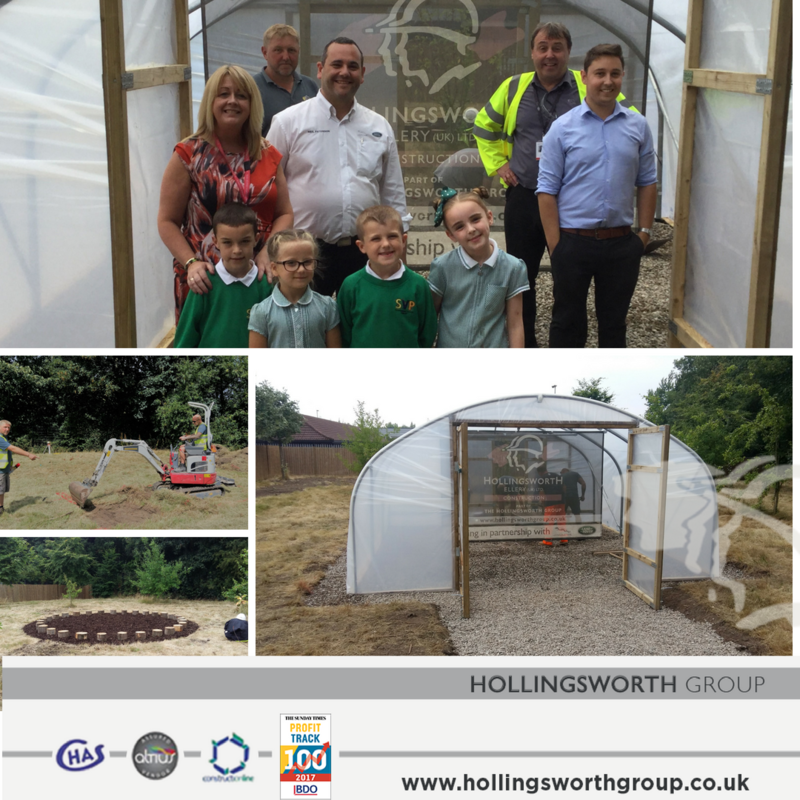 Stockbridge Village Primary School - Hollingsworth Group (UK) LTD.
“We have just completed an exciting community project in partnership with our key customer Jaguar Landrover. 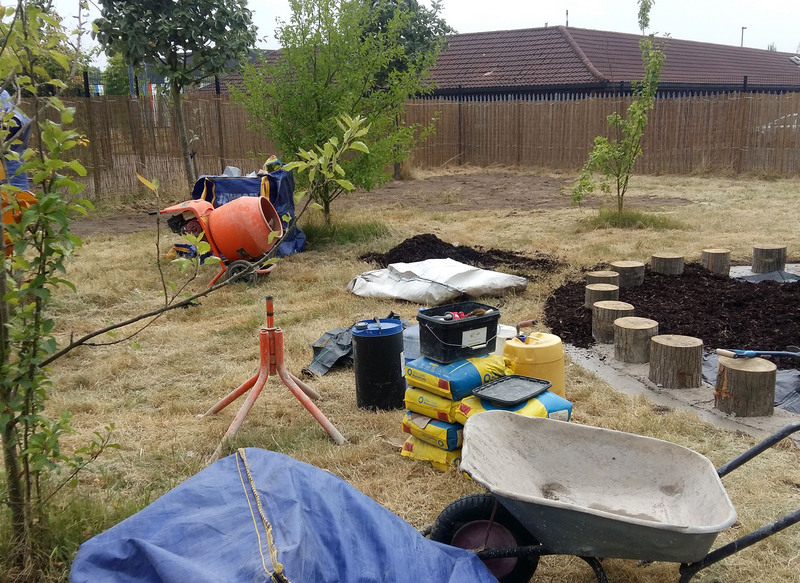 We initially engaged with Stockbridge Village Primary School several months ago when they presented to us their vision to transform a piece of land next to the school known as the orchard. 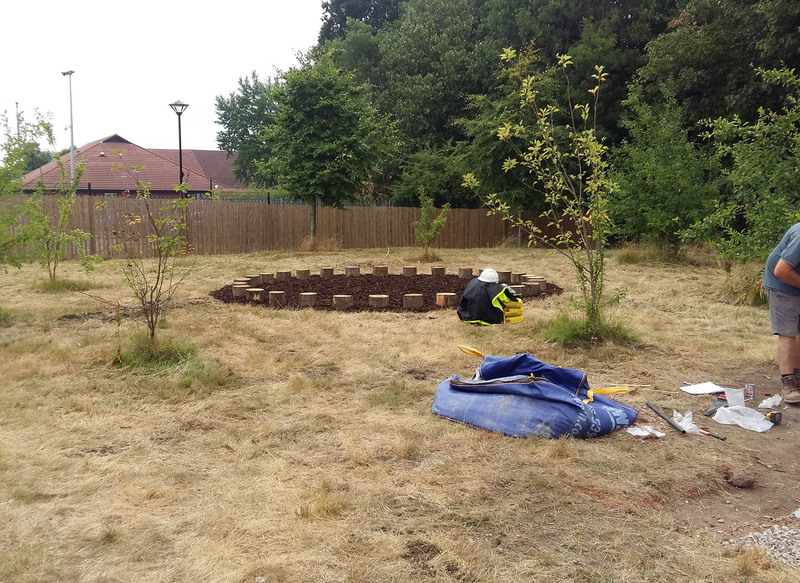 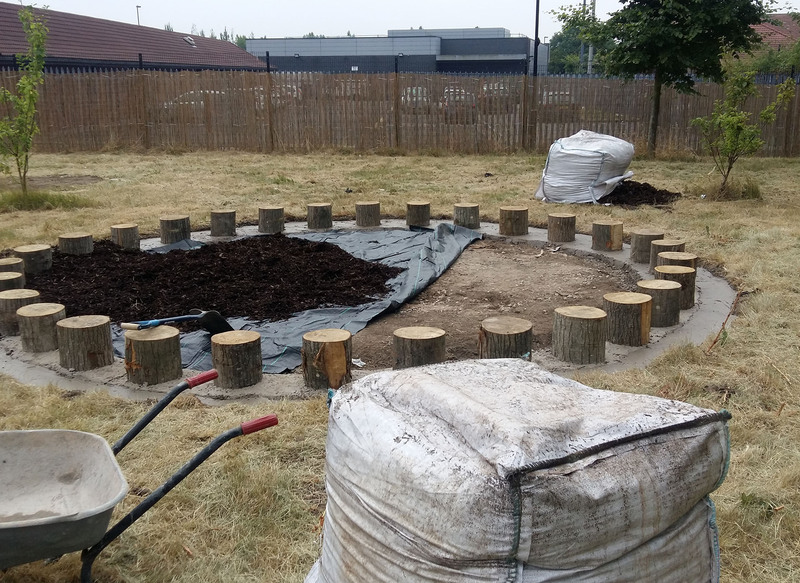 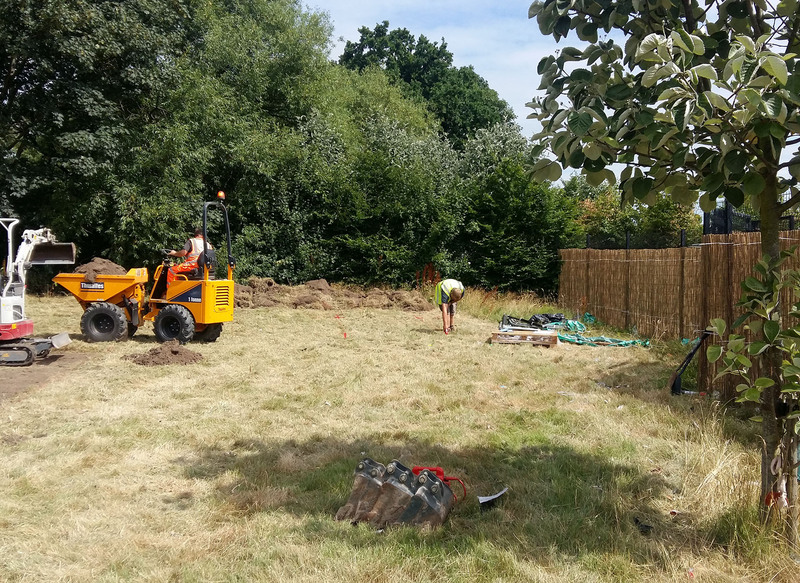 We agreed to construct a large polytunnel, a story circle of thirty log seats, a fire pit area and to fix screening to the perimeter to make the orchard a more private area. 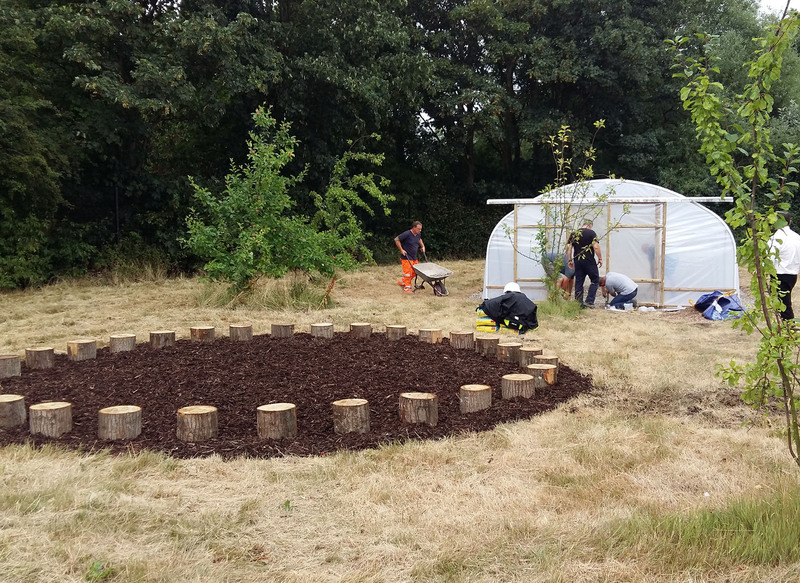 After weeks of planning we agreed with the school and JLR when we would do the work. 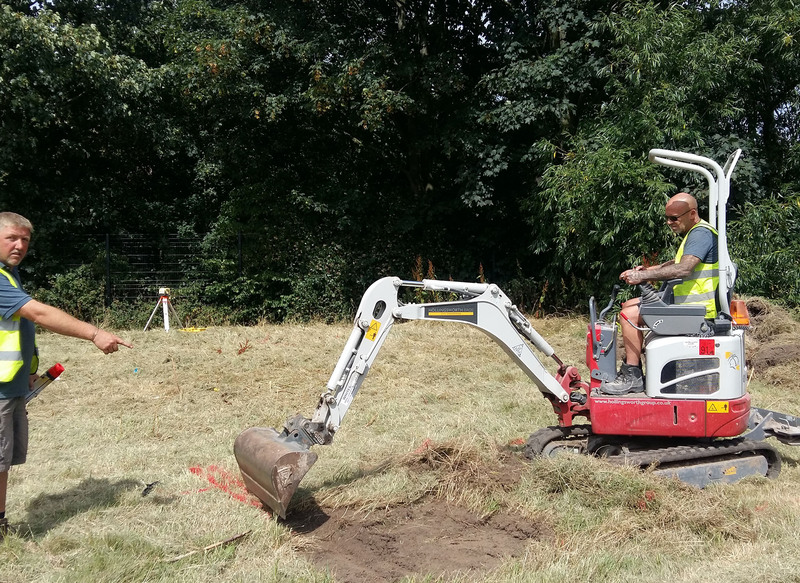 We set aside a full week and hit the ground running on Monday morning. 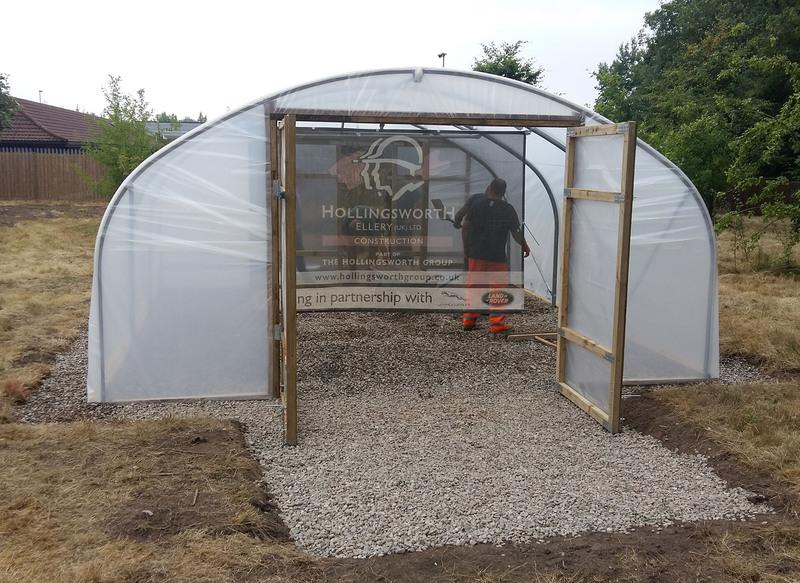 The Hollingsworth Group team worked hard from Monday to Friday undertaking all the heavy digging and concreting work. 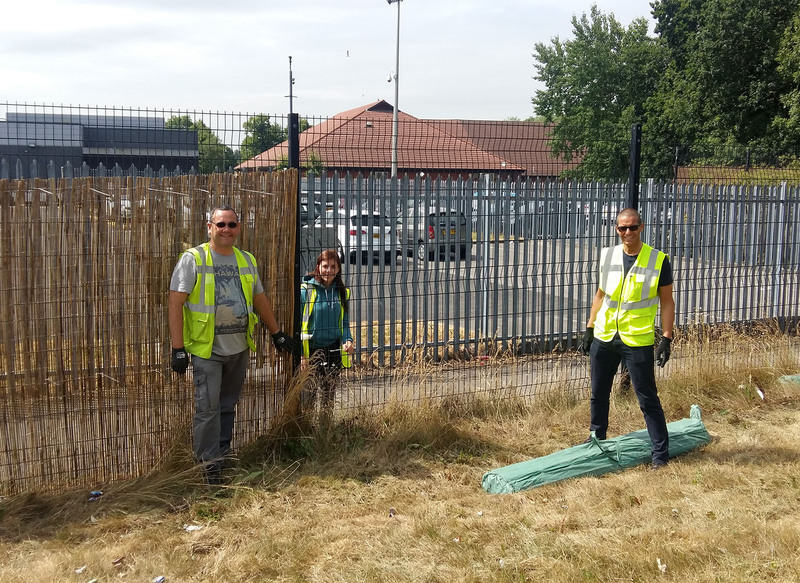 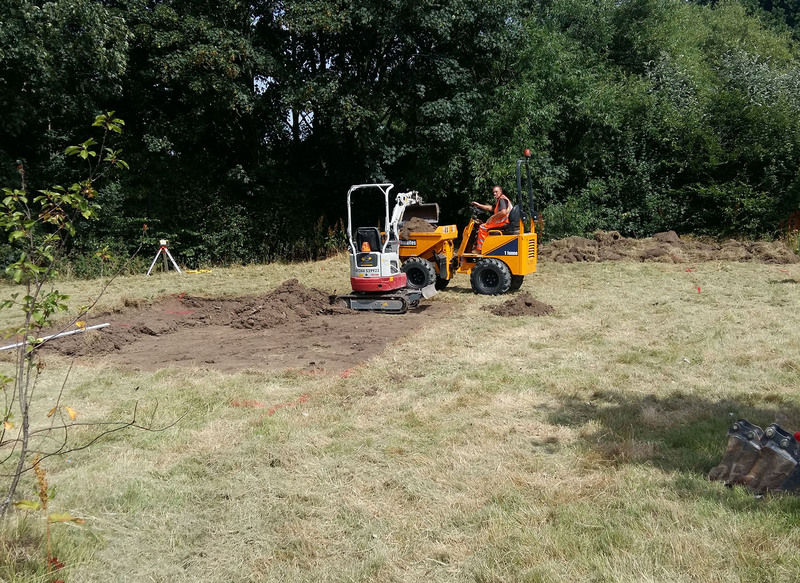 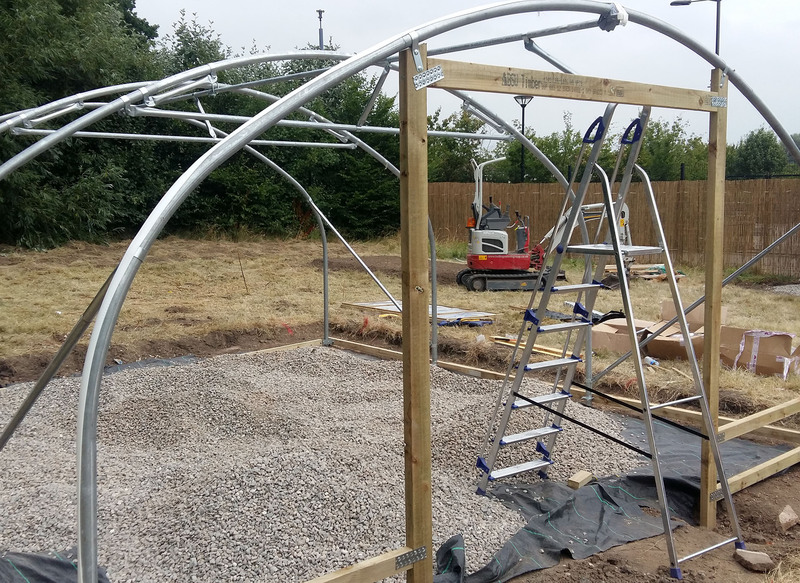 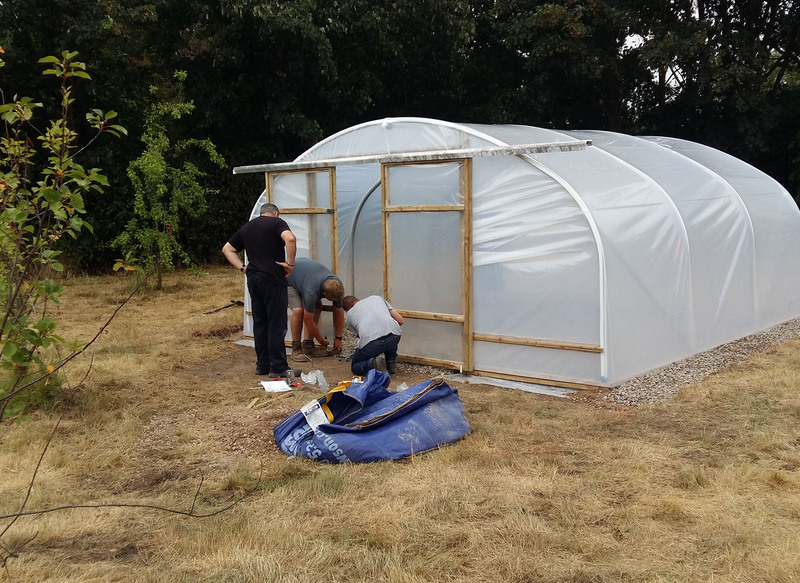 The Jaguar Landrover team fixed the screening and worked on assembling the polytunnel, which proved to be more challenging than they had thought. 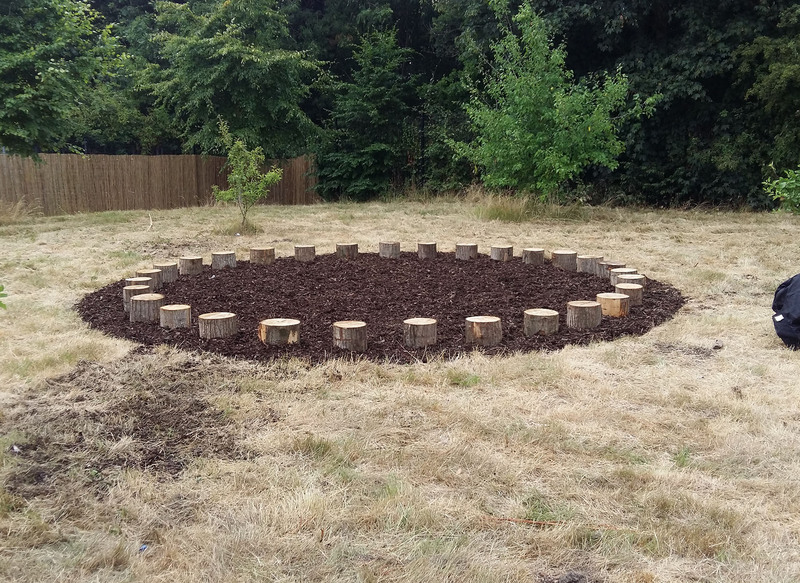 The project has been a great success and leaves a legacy for the school for many years to come.